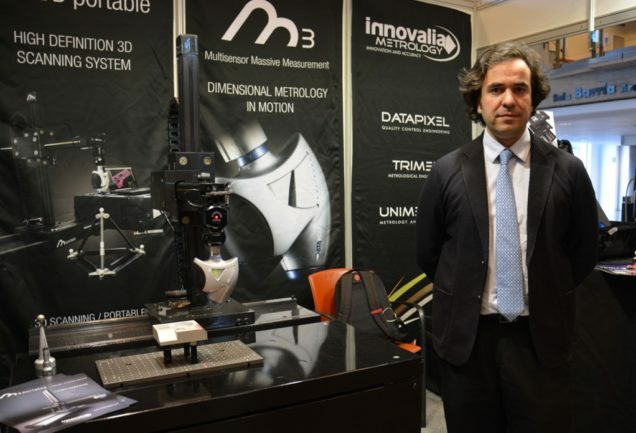 Borja de la Maza: “We considered metrology an essential part of the productive process”. 1) The data of domestic consumption and export of machine tools in 2017 are very good. What are the sectors that make you more optimistic? In Innovalia Metrology we have clients from different sectors, although automotive and machine tool manufacturers predominate. It is a joy to see that both sectors have evolved towards a more digital and more interconnected mentality. Years ago, metrology was seen as an expensive process that did not add value, but we considered metrology an essential part of the productive process. After much effort, this vision has changed and quality control is a very important part of the process. 2) How important is digitalization and what importance do you think it has for your clients? Innovalia Metrology has always opted for metrology systems that allow us to digitize our parts and processes to take steps towards digital transformation. Our M3 technology allows us to apply functionalities 4.0 to our proposals of metrology, and they have become vital tools that have attracted a lot of attention for this reason, because they offer us a series of advantages that allow us to advance in the digitalization of the process. 3) What is the top product that your company offers to the market? M3MH is one of our solutions that is causing more interest since its introduction, since it allows the incorporation of machine tool measurement solutions. M3MH is a measurement software that allows to verify the state of the machine, perform the set up and measure optimally and easily within the machine tool. M3MH allows to establish direct communication with the controls of the machine tool from the measurement software, allowing the user to direct the machine tool from a computer, with an intuitive graphic interface that allows to perform all the functions. The machine tool inspection proposed by M3MH also allows continuous visualization of errors in production. Prev:Jesús de la Maza: “Innovation is our business strategy”.